Spin to jet-off to Vegas! We can see Valentine’s Day approaching as more promotions are popping up for this special day of the year. Here we have a second chance to win an exclusive trip to Las Vegas worth £5,000, with the winner being able to choose between a wedding in the Graceland Chapel true to Valentine’s Day or a helicopter ride over the Grand Canyon. 499 Runners-up will share £3,000 and 10,000 Free Spins on Gonzo’s Quest. And it promises to be great as the tournament is a level playing field for all participants because the placing on the leader board is based on the highest equalized win over 20 consecutive rounds. Have fun and good luck in Vegas for winner! 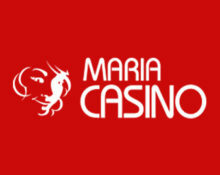 Enter the Valentine’s Tournament at Maria Casino running until 22:59 CET on 19th February 2017, with over 500 prizes to be won and the main prize being a 4-nights trip for two to Las Vegas with £450 spending money that even includes the choice of a helicopter tour over the Grand Canyon or a wedding package at the renowned Graceland Chapel! To qualify play on the selected games during the promotional period and the highest equalized win over 20 consecutive rounds will determine the placing on the leader board. This can be improved right up to the end of the tournament. No minimum bet required and no infinite amount of spins needed. Return flights for 2 from Europe to Las Vegas. 4 nights at a 4-star hotel in the heart of Las Vegas. The travel package has no cash alternative and is valid until 1st January 2018. Cash prizes are credited automatically to winning accounts without wagering requirements. Free Spins are added by 18:00 CET on 20th February 2017. Winnings from the Free Spins need to be wagered 25x within seven days. Maria Casino Bonus Terms and Conditions apply, read them carefully.